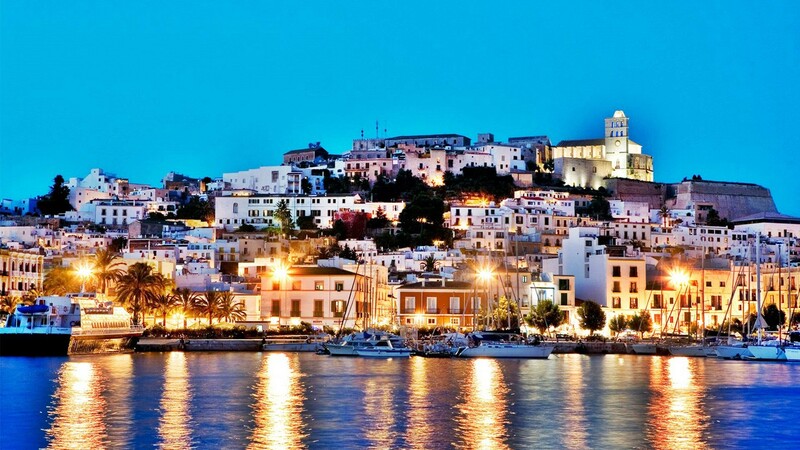 Ibiza is, without doubt, the quintessential Mediterranean island. 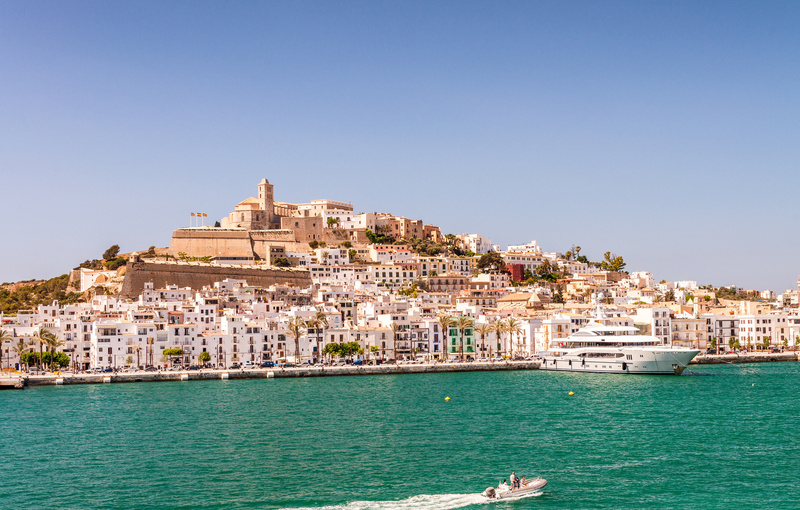 It has everything – beautiful beaches, pretty little villages, an attractive island capital, plenty to see and do and some great nightspots. And being just 25 miles from end to end, it’s very easy to get around. 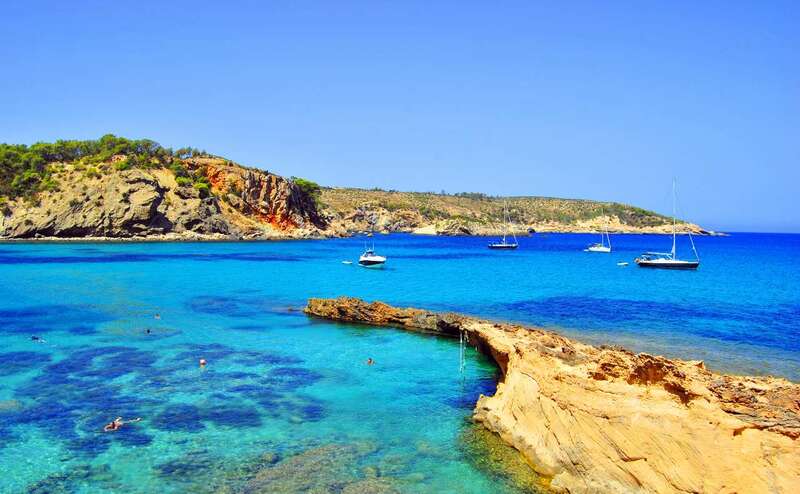 To the north, in Puerto San Miguel and Portinatx, you’ll find lovely little sandy coves and hills covered with blankets of wild flowers whilst, to the west, stunning Cala Tarida is picture postcard perfect. 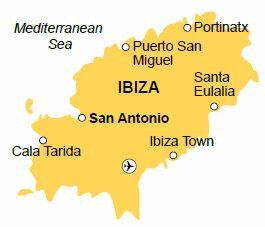 Look out for what locals call a ‘chiringuito’. 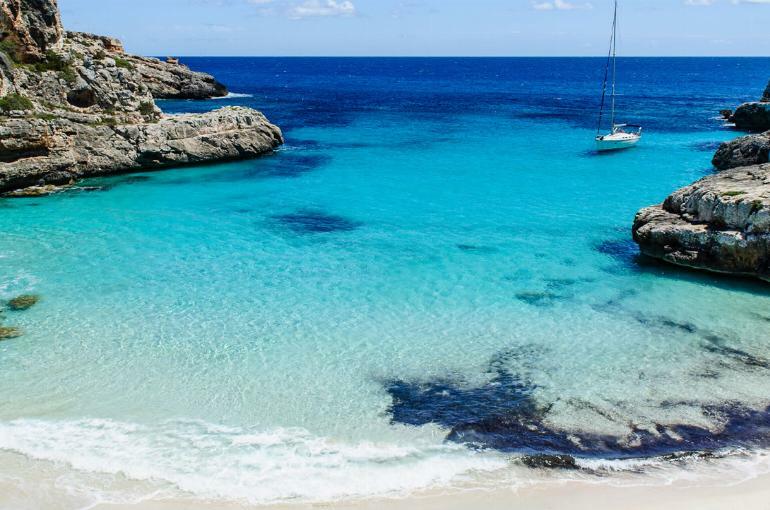 These little bars are to be found even on the quietest beach and are great for tapas, seafood and a cold drink – perfect on a hot summer’s day! 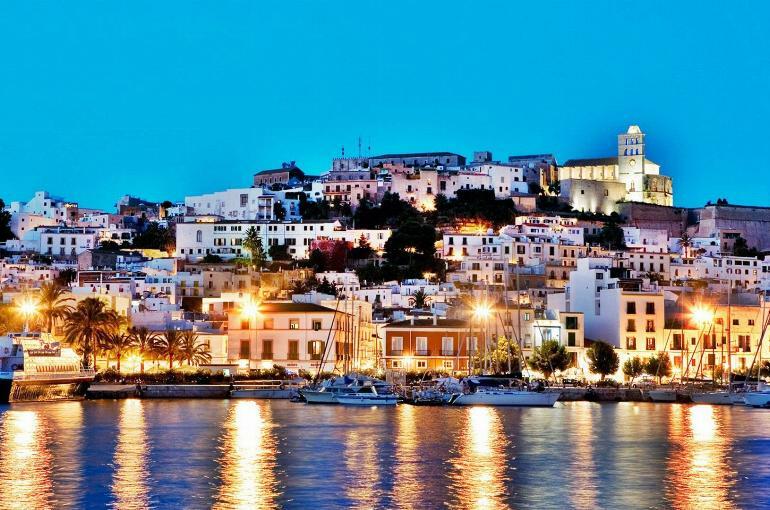 The capital, Ibiza Town, whose old quarter is on UNESCO’s world heritage site list, is an attractive mix of the old and new – on the one hand narrow, cobbled streets, medieval stone walls and an ancient fortress; on the other, and close to the waterfront, a wide selection of restaurants, bars, shops, and market stalls. The attractive Invisa Es Pla enjoys a quiet location on the outskirts of San Antonio, has lovely views of the surrounding countryside and is within easy reach of San Antonio’s many attractions and the resort’s waterfront and harbour. 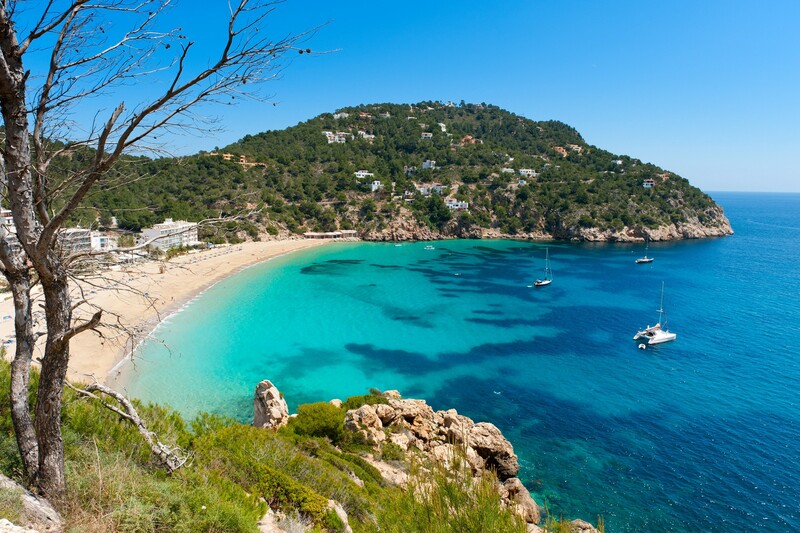 The long sandy beach is just 200m away and there’s a bus service to Ibiza Town and other parts of the island. This fully air-conditioned, comfortable and spacious adults only hotel has 2 swimming pools with sun terraces, sunbeds and umbrellas, a pool snack bar, free wifi in the reception area, a tennis court and a gym. There’s a buffet-style restaurant (soft drinks, water, beer and house wine are all complimentary with dinner) and occasional evening entertainment. 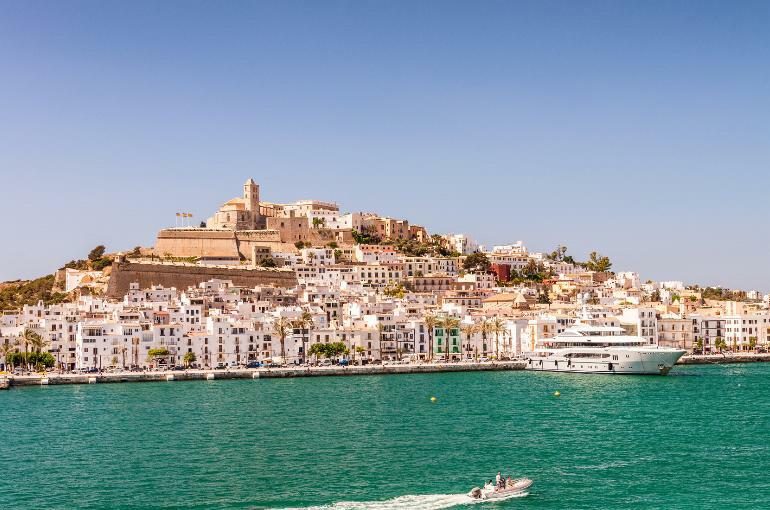 All the air-conditioned bedrooms, doubles for sole use, have a private sh/wc, satellite TV, safe (payable locally), minifridge, telephone and a balcony or terrace. 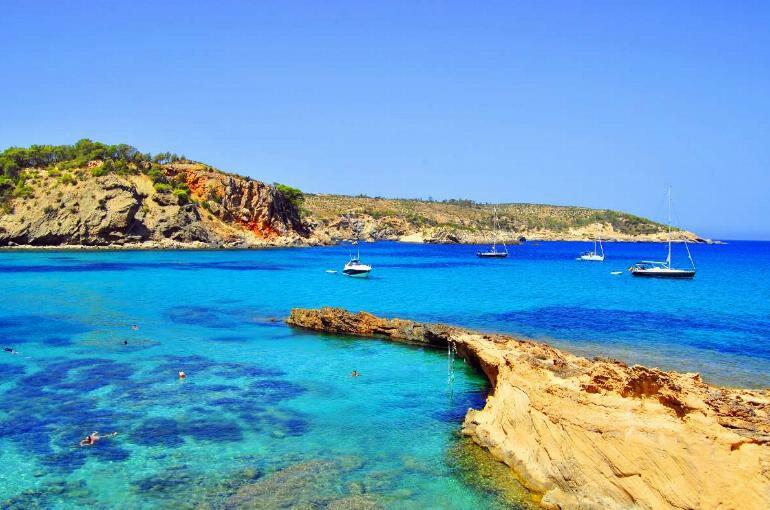 Enjoying a great location, the Invisa Es Pla is the perfect venue for your holiday on this lovely island.